There's been quite a bit of discussion lately about Equity Bank (the largest bank in Kenya, and a real innovator) becoming an MVNO (mobile virtual network operator). Their goal isn't totally clear but it's obvious that mobile platforms and money are irreversibly linked nowadays. The technology they're using is called thin-SIM from Taisys. Safaricom and the GSMA are against the technology and are claiming that it will introduce security holes into the mobile money system. 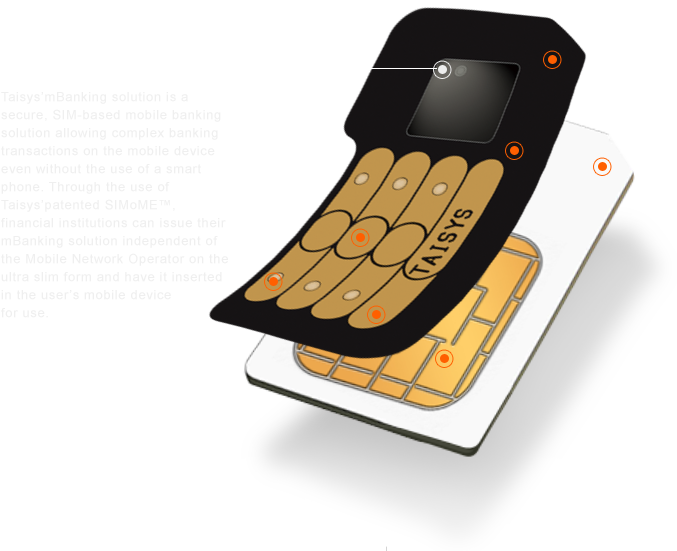 However, the thin-SIM is no more or less of a security issue than the phone itself (over which GoK and Safaricom have absolutely no control). Fake thin-SIMs are more of a concern than fake phones though - as they would be much more frequently shared (and for which it would be much more cheap to make malicious versions). Nonetheless, I am wholeheartedly on the side of a light regulatory touch. It will take years for any security flaws to become a systemic risk and that's what the Government of Kenya (GoK) should be worried about. Newer technology or simple barriers (i.e. 100k Kshs maximum account balance) can blunt fraud and if it remains under a few percent of overall transactions (like cash, credit card, and mpesa already deal with), then it's ok. It might be forward thinking of GoK to clarify that Equity bank is liable for many fraud scenarios via legislation or regulation, but that's it. I suspect that Equity will voluntarily absorb most fraud the same way credit card companies like Visa and Mastercard took on liability for online fraud in the early days of eCommerce in order to boost usage. Both companies have done extremely well and absorb the costs of fraud - and the profits from a comfortable userbase. The best solution is for GoK to discuss the issues but not to pass restrictions that neuter innovation in the economy - which is one of Kenya's strong suits and hopefully won't be abandoned anytime soon. 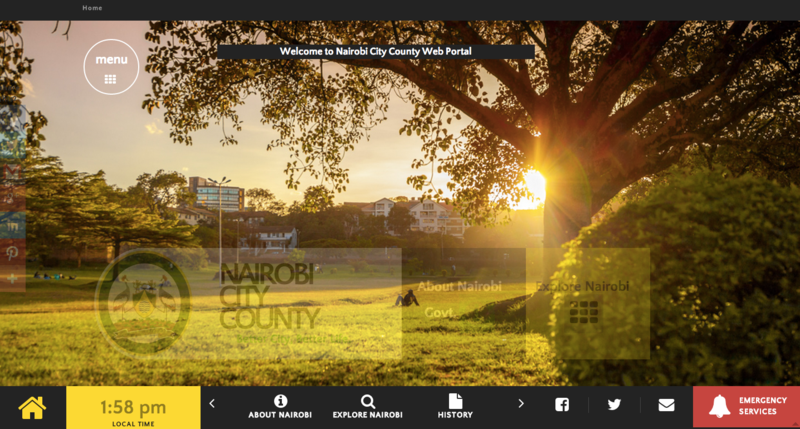 Should the Nairobi County website be hosted on Kili? Nairobi County and any government agency should use whatever services allow them to get the most value for their money. That is taxpayer money and it should be spent wisely. I'm no fan of governments blindly buying local and Amazon has an extremely good product. I'm actually really happy that they're on Amazon and not on GoDaddy or something low grade like that. I'm also very happy that they're on Amazon and not one of the entrenched local vendors with terrible service and terrible value. The choice of Amazon shows that the tech people who implemented the Nairobi County site have some chops. However, there is no county or agency budget that is so thin that a difference of a few thousand shillings a year for better hosting isn't worth the extra money. I can guarantee that the weekly airtime allotment for a high level Nairobi county employee is more than the annual hosting bill for this website - no matter where it's hosted. Developers must demand top tools for their work when it comes to paid projects. I understand that if it's just a hobby one wants to get the cheapest possible solution - but when it comes to a professional site, hosting is going to cost somewhere between 2-5% of the annual budget. For a one-off project, hosting is probably going to cost 100k Kshs ( 15k for the hosting provider and 85k for the people to do all the security updates, monitor the site, make sure updates are made to support new browsers, etc...). And then of course, for really complex websites, you're talking about $1M/year in operations costs and on up from there. Hosting is not where you want to be cheap because the entire cost is under 5% of the budget and because the right choice with hosting can really have a significant impact on your metrics. Of course, there are cheaper options. For instance our main homepage is totally free because it's hosted on Github. There are three reasons to consider a local host. First off, you might have trouble even being able to pay for Amazon. What if you're a local SME that wants to pay with direct wire, or you're a developer without a credit card. No problem, Kili accepts both wire transfers and MPesa. Second, what about data? At some point, Nairobi County is going to want to allow citizens to see information about tax payments on a plot of land. Is it really smart to keep that data in Europe where about a thousand different entities can sue to access that data? It's probably safer in Kenya where Nairobi County has a stronger ability to manage the data as they see fit. When we're talking about health and financial data this becomes pretty serious. Third, let's talk about latency. Within Nairobi, it's not 50ms to reach the Kili host, it's 10ms. To reach the Nation, it's 140ms. People say that nobody notices milliseconds but what about when a website has more than 100 HTTP requests, and they block because browsers will only do so many at a time. What about streaming - which really suffers? The Nation takes 6.65 seconds for the DOM to be available and 7.26 seconds for the site to be fully loaded. That's not including async stuff that happens afterwards. There are over 200 requests by that time. For them to host on Kili would drop the site load time down to under 1 second and probably boost the number of page views by twofold. Page views are how media companies make money. This third point should not be lost on the government side either. It's obvious that local media business will make more money once they move locally and the managers who make that happen will DEFINITELY be rewarded with promotions. The government sites don't make money, so who cares? That misses the point because civil servants and consultants who build and maintain those sites can improve their careers immensely. You don't think that if the person in charge of that site, when he or she shows Kidero that page views went up 30/40/50/100% won't get rewarded for that? Those are voters and that website is the platform by which elected politicians and their staff get their message out and advance in their own career. This stuff really matters and it's not just milliseconds - it's votes and agendas. Anyway, this has been a long post and I just wanted to thank everybody for reading it. Since I do know some of you are using VPSes on unpaid projects with minimal budgets, or are students, we're offering a very special deal. Anybody who signs up (click 'Sign Up' on http://kili.io) and tops up with $15 (Credit Card) or 1,200 Kshs (Mpesa) will get a $100 credit. All you have to do is send me an email to request the credit and ideally point out one thing you would like us to change about Kili. This is as cheap as it gets because we know that when people see how much better it is to be local, they'll never go back. I don't agree with programming with a 20 year lifespan in mind, but people should definitely think in terms of code being around for 2-3 years and modified by 4-5 future developers that you have not met during that time. Stable - Unexpected inputs should lead to simple errors rather than cascading failures. Flexible - Lower level code should be flexible enough to accept some changes in higher level code without modification. Extensible - Interfaces should be written to be extended in the future, not with the presumption that there won't be any change in the future. Maintainable - Code should be clear and precise so that future developers can change methods without fear of breaking existing functionality. The corollary here is that automated regression tests should be part of the codebase. Scalable - Logic should be able to scale. It doesn't matter how fast an action is per se - it matters how scalable the action is with regards to the frequency with which it will run and how that impacts the rest of the system. There's been an ongoing discussion over the past year about getting one laptop to every child in Kenya and how the ICT industry here thinks about that. Many people feel that, to the degree that this is a good idea at all, laptops should be assembled in Kenya. I don't agree and below is a summary of the thoughts I posted to that group. Supporting industry and helping kids with a final product are two independent things. The more money that goes into spinning up manufacturing capacity, the less money that goes into getting the technology to the kids. Kenya can't magically produce laptops cheaper than China can. Kenya has no chance of having a meaningful laptop assembly capacity because it doesn't have the economies of scale that East Asia has. Europe and the US are giving lots of technology to their children and none of that stuff is produced in-country because manufacturing plants can't exist in isolation. A laptop assembly plant is just one of dozens of plants (chemical manufacturing, plastic-shaping, aluminum foundries, LED, etc...) needed in close proximity to each other just to create the first laptop. Having a laptop assembly plant in Kenya and all the preceding plants stay in China isn't economically viable. And also, if the plant is only creating a few million laptops, it's doubly not viable. It has to produce more like 10M/year and in order to do that and so the plants would need to export those laptops. Where are these laptops going to be exported to and how? Is a typical Rwandan going to buy a Kenyan laptop over a Chinese one? Maybe, just maybe, with a solid $5-$10B of pure investment Kenya could get a real industry going but then to what end? Computer manufacturing has already plateaued (currently one computer produced for every 20 people each year) and it's agreed that future growth will happen in tablets and mobiles where most of the value is in commodities and intellectual property, not assembly line labor. Tablet sales are already 60% of computer sales and the industry is seeing 50% YoY growth. Kenya has all the raw ingredients to leapfrog manufacturing and go straight to a knowledge economy - it just needs to invest deeply in its children through strong, universal education. Having young people working on assembly lines is not a way to empower youth. Editor's Note: A previous version of this post said 'South East Asia'. I meant to say 'East Asia'. As a consequence of the Kenya Communications Act, CCK has drafted a new regime for administering the apex .ke country-code top-level domain (ccTLD). It is still not clear if the CCK has an opinion on arbitrary second-level domain names under .ke from any of the documents, but in addition to a new license for the apex registry (.ke itself) and second-level domain registry (.co.ke), there are also licensing documents for registrars who will be allowed to lease domains to the general public (example.co.ke and possibly example.ke). For those who are unaware, registries take on core responsibilities around rules and regulations regarding domains and registries need to be held to very high standards. Registrars are merely sales organizations that resell (or really, lease) domains from the registry. Typically, a registry does not sell to the general public and a registrar has no core maintenance or administration role with regards to the domains it sells. As a background, [generic top-level domains (gTLDs) include .com, .org, .mil, .net, etc... In addition to the generic domains, each country has a TLD referred to as a country-code TLD (ccTLD): .uk, .ke, .de. There are also now internationalized domains (IDNs) such as .中国 and .香港. First off, we should all be thankful to CCK for having a public comment period at all. It's very atypical for Kenyan government departments to give time for proper feedback. Sometimes one sees gazetted rules in the newspapers dated one-month back so that they go into effect immediately. CCK really deserves a round of applause for recognizing that releasing rules in that way is less than ideal. Visiting Gandi (a registrar, not a registry) to see what TLDs are broadly available is a great way of understanding the current topology of domains globally - and which ones are well represented around the world. Unfortunately, CCK rules continue to deny companies like Gandi from reselling the .ke TLD and therefore, the number of registrations is very low. Norfolk Island (a very small semi-autonomous territory east of Australia) has .nf and allows those domain names to be registered for $1,420 and renewed for $230/year thereafter. Large multinationals like Google seem to pay up for "google" under any TLD so this is probably a good strategy for a very small country to capitalize on its ccTLD when there is no chance of broad adoption. Barbados maintains a semi-restricted ccTLD, .bb and has very little uptake - seemingly intentionally. The rationale for this appears to be that Barbados wants to assert strong authority over the domain name so that end-users know that hosts have met certain criteria in order to have been able to leverage the .bb ccTLD at all. The goal is not to have mass adoption .bb domains in this scenario. Austria has a long history with its TLD (.at). It is currently managed as a public-private partnership that was spun out of a loose coalition of Austrian ISPs. They have a permissive registrar license not requiring registrars to be located in-country and therefore have many sellers of the .at domain name around the world and many registrants. Although some ccTLDs (.uk) do not allow second-level domains (like bbc.uk), many have moved to allowing second-level domains (like donteat.at). Second level domains can sell well (ca.ke might work or would it be a flu.ke?) and earn money for the top-level registry. They also overcome the often meaningless divisions between companies (.co.ke), organizations (.or.ke) and 'others'. CCK has not made it clear what the future is for second level domains under .ke, but this needs to be a discussion and I would strongly favor second-level domains for .ke in order to increase adoption. Note that allowing domains like 'example.ke' does not mean that 'example.co.ke' or 'example.go.ke' couldn't continue to exist. Registrars act as an intermediary between the registry (the organization that administers the definitive database of all .ke domains, handles complaints, enforces regulations, etc...) and the domain holder. Typically, an end-user leases a domain name from a registrar on a renewable annual basis and the registry administers the database. Unlike many other countries, CCK will require that all registrars be Kenyan-owned. Although it's totally reasonable that the dot KE registry be explicitly under Kenyan authority, I don't think it's in the best interest of the industry to force registrars to also be locally domiciled. It may be good for a narrow group of local registrars to protect their business registering domains, it is bad for boosting the overall number of .ke domains registrered. The vast majority of domain registrars globally are non-Kenyan and excluding them from being able to lease the domains means that .ke will continue to be a niche asset. Kenya uses foreign contractors for many specialized activities (building airports, laying roads, improving container ports) and there is no reason to treat potential .ke registrars any differently - especially when the cost is impact is a continuing low uptake of the .ke TLD. Note: It's been pointed out to me that my determination might be wrong. This document may only refer to registries (although it seems very clear that it's referring to registrars). I really can't say for sure and we would all be grateful if the CCK would clarify what it means here. Again, the documents are confusing so it's not really clear what CCK intends. The research by CCK vis-a-vis the regulation and administration of ccTLDs globally as evidenced in these documents appears pretty minimal. Most of the background appears to come from other Kenyan law rather than other Internet governance regulation. I would hope that those who drafted the text read at least five or six sets of comparable documents from other countries - of which there are over 100. This is something which can easily be addressed and is well worth the time of the CCK researchers to not only read these regulations, but to reference them in an executive summary that should be attached to these drafts. Security needs to be in layers. If an organization can afford and currently implements strong physical security, low-level network security (intrusion detection, stateful layer 3 firewall, etc...) and kernel-level OS security, and none of those functions come at the expense of high-level (OS and application) security, then you may well be better off with brick & mortar. However, I doubt that any local group aside from national security bodies in Kenya and Rwanda have that capacity and the rest of the organizations will have better security from using a cloud-based infrastructure solution. There is no way that low-level security is better at any bank or similar institution in East Africa than it is at Amazon Web Services. And as for high-level security (i.e. OS and application exploits), cloud providers do not purport to cover those things - it's up to the end-user to secure that level. But, an organization that only has, let's say 2 or 3 security people, can encourage better security by leveraging a cloud infrastructure provider for protection against physical and low-level attack vectors and focusing on higher level attacks like operating system exploits and especially holes in custom-written applications. I think this single form sums up why Kenyan companies thus far haven't been able to be pan-African, let alone global powerhouses. Aside from the glaring omission of anybody being non-European, non-African and non-Asian (i.e. everybody from North and South America), I noticed that the underlying thrust of the document is to make sure all companies located in Kenya are geared towards becoming more Kenyan (except of course, all the international non-governmental and diplomatic organizations which bypass this whole process). It seems like GoK (or most of it anyway) doesn't understand that every country has to choose indiginezation of its domestic industrial sector OR allowing its industrial base to compete at a global level. Indiginization can work in countries like Saudi Arabia where the focus is purely on resource extraction and not on building global companies - but it doesn't seem like Kenya is on that path. Kenya seems to me to be a place of commerce where it can really take advantage of trade with other countries much like Singapore, Hong Kong, Thailand, etc... have done in South East Asia. You'll notice that the largest Kenyan bank is KCB as the 59th largest bank in Africa. Who knows how small KCB is when compared to the global field. There is no natural reason for Kenyan banks to be so low on the list. Kenya is one of the major economies on the continent, it has an educated work force, it has a large domestic market with which to nurture companies - yet there is no way for a Kenyan company to scale because of the insularity of the immigration regime. Is there any impetus within the government to address this problem? I'm concerned about what my plan B is as a startup trying to be pan-African with a headquarters in Nairobi. When I first moved to Nairobi, I thought this was a global city like New York where I had worked with Indians, Swedes, Burmese, Brazilians, Americans. Here I'm friends with people from all over the world but they all work for the UN and their employers bypass the GoK which otherwise fights so hard to keep foreigners from working and building businesses here. Is there a solution or is it just going to get worse? People I've spoken to say 'come to Rwanda' or 'come to Mauritius' or even 'come to Ghana' .... can a company have a headquarters in Kenya and run a tech company with pan-African and global ambitions? I can tell you a bit about Kili by telling you a bit about myself. Today somebody asked me to tell them more about Kili, the public cloud we're trying to build in Kenya. I said that I can tell them a bit about Kili by telling them a bit about myself. I moved to Nairobi in January after leaving as CTO of Yipit, a NY-based startup, a few months before. 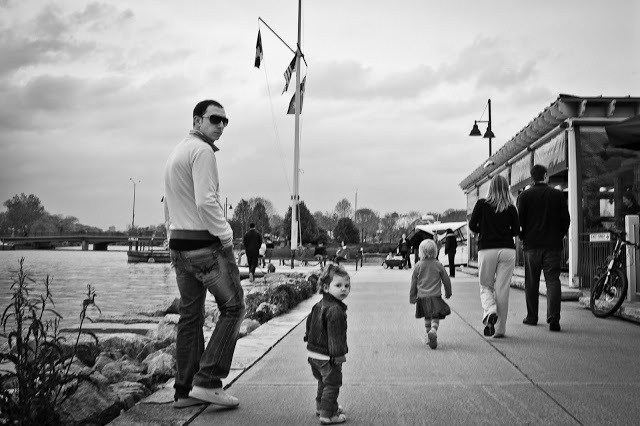 Over 2 years, we had grown the company from the two that had founded it to 25 people. By the middle of last year, myself and the co-founders no longer agreed on our future together so we parted ways. At about the same time, my wife, who works for Columbia University, had been coming to East Africa for a number of years as the manager of regional projects focused on climate and public health and was able to transition from being NY-based to Nairobi-based. I had been to Nairobi twice before with her and had talked to startup people on those visits and so we both decided that the time had come to make the move. After arriving in January, I spent my days speaking to many of the startups at iHub (the local startup spot) and elsewhere and talked through the different ideas that I might be interested in exploring more deeply. For instance, taxis are notoriously poorly organized in Nairobi and I thought about how to fix that for a while - and concluded that even if solutions were found, they would be hard to scale to other cities and anyway, the market simply isn't that big. Taxi drivers don't get paid that much and downtime costs for parked cars are pretty low. The most expensive part of a taxi ride is probably the wear and tear on the car as it drives, and the gas. Solving this problem, while good for some people in the city, simply won't generate large quantities of money. Something similar is true with e-commerce. There is nothing like Amazon here and it's a real frustration for users who are used to the service (aside from State Department employees who get their stuff freight-forwarded from the States courtesy of Uncle Sam). However, executing the right solution will be very difficult to do and even then, it's not clear how to scale beyond Nairobi. One reason that Amazon works well is that it has 10x the number of products available as Walmart does - so aside from simplicity, users have more choice. In Nairobi, managing a warehouse with 10x the goods as Nakumatt has (the local Walmart) would be nearly impossible because that company would be the only one carrying all of those products and there simply isn't a robust enough supply chain to support that product-depth. Security is a problem too and then there's the issue that there is no routinized mail or shipping service to residential addresses. In addition to potential pitfalls with these models, there's the overarching problem that I'm not a typical African consumer. So, while I know a bunch about product development and technology and startups in general, it's not clear that as an expat American, I am best placed to deploy a consumer-focused startup in Africa at all. What became amazingly clear however from talking to all of these different startups however is that each of them was desperate for high quality cloud infrastructure. The closest AWS or Digital Ocean presence is in Europe - thousands of miles and about 150ms away by fiber. For the most part, European and American companies don't accept local payment methods. And finally, some of the groups had regulatory concerns about their financial and health data being out-of-country. The need was high for a local provider of these services. While not being the perfect person to handle developing a local consumer app, I am in the perfect position to supply those companies with modern public cloud infrastructure. A number of years before Yipit, I had been the CTO of a large website in NY during the Web 1.0 era, Forsalebyowner.com. In those days, we would get servers by FedEx, set them up, drive them to the colo facility, and spin them up. At Yipit, I architected a large public cloud installation. In many ways, I realized that I was one of the few people in the region with the right background to launch a public cloud and in addition, the market was clearly in need of one. That's where Kili comes in. Kili is Amazon Web Services for African markets. Agile development requires a couple of different meetings in order to get things done. Most people know about the daily standup meeting where all the members of the team stand and one at a time say what they did the day before and what they plan to do that day. Ideally you pass around a token (conch shell anyone?) and only the person holding the token can speak. The other important meeting is called 'estimation'. This is held every sprint (week or two) and it's when cards are estimated by the people who will likely do them. Only those people can estimate (usually with point values of 1, 2, 3 and maybe 5). Both of these meetings are absolutely critical to a team's success in the agile scenario. There is a third meeting that some groups forget about but which is no less important. In fact, I would say it's the most important meeting and it can even be used without the rest of the process on a non-development project (for instance with a sales team). What is the Retrospective Meeting? First of all, get everyone in the room or simply commandeer the entire office. This is a group event and nobody on the team should be missing it (unless they're busy playing Starcraft of course). Don't be lame and exclude certain staff. If you don't value their input enough to have them in the meeting, let them go entirely. If there's a senior person who doesn't even want to come to the first meeting - know in your heart that that person doesn't value you and start looking for another organization to work at or start thinking long term about ejecting that senior figure from the group. Hiring and firing is an important part of all organizations - face it head on. There is an exception to the 'invite everybody' rule and that's if an invitee might make other people feel 'unsafe' and otherwise keep members of the group from speaking up. This might happen if you're a consultant called in to fix something. If you're consulting, they've called you in to fix the problem. Don't invite the toxic character but do make sure he or she knows the outcome of the retrospective meeting and work with them to fix the problem. Hopefully you can fix the situation and earn your keep - or you can at least identify the problems for upper management who can then make tough decisions. If this is your team, this situation is really bad. Anyway, once everybody is together, let them know this will take 1 hour (1:15 if it's 10+ people and it's the first time). Don't let meetings go more than 5 minutes over time - you really don't deserve the respect of that person who didn't come if you can't even end the meeting on time. * Post-it notes or index cards with tack/putty/magnets to stick them on a whiteboard. * Bunch of markers to write on the cards. Make sure to start things off by asking about safety and make sure that everyone is comfortable enough to speak. This is the organizer's responsibility. Everybody gets a stack of cards or block of post-it notes. What Worked? What Didn't Work? On each card, participants write about the previous 2-3 weeks (every 2-3 weeks is a good cycle for these meetings) with "things that worked" or "things that didn't work". Let them brainstorm for a solid 10 minutes or until there's not much else to write. When people have written all their cards, they all get put on the board either on the left side reserved for "things that worked", and the right side for "things that didn't work". Some people add a 'puzzle' section on the right side of the board for things that people didn't understand (i.e. what's that giant box that got delivered last week and is sitting in the corner of the room shaking every couple of minutes?). The organizer then reads the cards out loud one by one. If one is similar to another that has already been read, he puts them together in a cluster on the board. If the organizer needs clarification, she asks whoever wrote the card to offer more details to the group. When all the cards are grouped on the board, each person gets a chance to vote on the cards they think are important by adding a dot. Each person gets a total of 3 votes (feel free to put 3 votes on one card). It's nice to vote for "things that worked" but over time, people are going to focus on "things that didn't work" because those are the things people want to make better. Now the organizer takes the top 3-5 cards and moves them to the upper right side of the board in order. Only the top 3 are typically discussed but sometimes there's time to talk about #4 or even #5 so it's best to just move them to the upper right as well if the vote count is close. Starting with the top, you open the floor to discuss each item one by one. Give about 5-7 minutes to explain what didn't work and why it matters. At the end of the discussion (shut it down if it's taking too long), ask for a volunteer to be the point person to address the problem ahead of the next retrospective meeting. The volunteer DOES NOT HAVE TO FIX whatever didn't work. The volunteer just has to move forward with putting together the solution to the issue: getting the right people together, finding out how to fix it, assigning people to fix it, or of course, just fixing it. Just do it! If after you read this article, you're worried about buy-in and getting people on board, let the powers that be know that this is a great way to build a better organization and that the staff will really respond positively. And as with all things in the agile process, don't think too hard about it - just do it. You can always say "that was stupid" and never do one again. If a group can't try something just once to see if it works, it won't grow and be able to innovate. The capacity to experiment and innovate, sine qua non. I just got another one of these VC email solicitations for an 'exclusive event'. At least youngStartup has the transparency to tell me upfront what the presentation fee is, but I find it disturbing that for $1,500 I can buy a "Top Innovator" award. Varud.com has only ever been a blog. About 2 years ago I worked on an idea for a social network based around future events and their outcomes - but it never materialized. It certainly doesn't merit an award. I'm surprised that people from Bain, etc.. could get suckered into attending an event like this. Obviously, the best ideas won't be presenting here, only the ones with money to play. Don't get me wrong, established companies pay to present all the time. That's part of how they market. However, a startup spending $1,500 for something like this either doesn't know what it's doing (much better to spend that money on your product or more strategic marketing) or isn't well run - or it's already well-funded. Jason Calcanis has already written about this extensively. His message is that there are plenty of free ways to get an audience for your ideas. The most important thing is for you to have a partner whose skills complement your own and the time and money to work on your project. If you don't have the partner, worry about that first. If you have the partner and not the time and money, make your pitch awesome and then start pitching to whoever will listen - for free. Just getting in front of user groups and meetups is a huge step. At the same time, work on your product. If, after 6 months, you're not getting any traction, step back and reevaluate everything from the ground up. Note: In order to not make this an ad hominem attack, I've taken out the sender's name. Hey Adam - Let me know if you'd like to have Varud. recognized as one of 60 Top Innovators presenting at The 2010 New England Venture Summit being held on December 14-15 at the Hilton in Boston Dedham. As you may know, this exclusive venture capital summit will bring together over 450 VCs, Corporate VCs, private investors, investment bankers and CEOs of emerging companies and will feature high-level networking, face 2 face meetings and over 40 VCs on interactive panels. Neeraj Agrawal, General Partner, Battery Ventures | Omar Amirana, MD, Partner, Oxford Biosciences | Christian Bailey, General Partner, incTANK Ventures | Michael Balmuth, General Partner, Edison Ventures | Dr. Jonathan Behr, Principal, PureTech Ventures | Tom Cain, Special General Partner, Sail Venture Partners | Carlos Cesta, Director, Verizon VC | Jon Chait, Partner, Dace Ventures | Andrew D. Clapp, Managing Partner, Arctaris Capital | Issam Dairanieh, US Director, BP Alternative Energy Ventures | Ohad Finkelstein, Partner, Venrock | Patrick J. Fortune, Ph. D., Partner, Boston Millennia Partners | Liron Gitig, Principal, FTV Capital | Jeffrey Glass, Managing Director, Bain Capital Ventures | Greg Kats, Managing Director, Good Energies | Alan J. Koenning, Fund Manager, UPS Strategic Enterprise Fund | Venetia Kontogouris, Managing Director, Trident Capital | John Lawrence, Partner & CFO, Longworth Venture Partners | David J. Martirano, Co-Founder and General Partner, Point Judith Capital | Chuck McDermott, General Partner, Rockport Capital Partners | Robert McNeil, Ph.D., Managing Director, Sanderling Ventures | Jeffrey B. Moore, Vice President, MP Healthcare Venture Management | Ira Nydick, Senior Technology Analyst, Panasonic Venture Group | Brendan O’Leary, General Partner, Prism VentureWorks | Patrick O'Neill, P.E., Investment Associate, Connecticut Innovations | Joseph Riley, Managing Member, Psilos Group Managers | Praveen Sahay, Founder & Managing Director, WAVE Equity Partners | Gavin B. Samuels, M.D., MBA, Senior Partnering Director, Teva Innovative Ventures | Bart Stuck, Managing Director, Signal Lake | Steven St. Peter, Managing Director, MPM Capital | Scott Requadt, Transactional Partner, Clarus Ventures | Chris Risley, Operating Partner, Bessemer Venture Partners | Jake Tarr, Managing Director, Kinetic Ventures | Louis A. Toth, Senior Managing Director, Comcast Interactive Capital | Markus Thill, Managing Director, Robert Bosch Venture Capital | Tracy S. Warren, General Partner, Battelle Ventures | Tom Whiteaker, AVP, Hartford Ventures | Caleb Winder, Vice President, Excel Venture Management | Bilal Zuberi, Principal, General Catalyst Partners and many more. Our screening committee is busy reviewing the submissions and will be selecting the remaining companies by this coming Monday. If interested, I would need you to fill out the summary outline and submit by the end of Monday. I've included the details of the opportunity - let me know if you'd like me to send over the summary outline. Fee to present: $1,485 (there is no fee to apply). Founder of Kili, a public cloud hosted in Kenya for websites, mobile backends, and custom applications.